Within the Tokyo chapter of the Covenant of the Sword, the operatives in charge discuss concerns that have been received from some of the other cells. These worries are dismissed by the Council as they were given the assignment to eliminate SuperPatriot and are using methods that have been tradition for many years. They then receive word from their High Commander who assures them that SuperPatriot will be neutralized by them and that there was a specific reason why they were chosen. In an Ecuadoran jungle, a cadre of elite Covenant troops have been dispatched on a training assignment and they come under attack by a trio of new agents. Ein, Zwei & Drei use their advanced morphing technology to easily avoid the attacks of the soldiers, meticulously picking them off until they have slaughtered the entire platoon. The trio then report in their success and are recalled to their headquarters to receive further instructions. Liberty continues her hostile attitude towards her estranged father but Justice attempts to make peace between this uneasy new family. Super Patriot points out that he did not intentionally desert them as he was never even told of their existence. He remembers their mother and asks just what they were told about him. Liberty begins to recite this story but Justice decides that it would be better for him to do it so that he can keep the peace. After a brief relationship, Rebecca Farrell ended up pregnant and informed her brother about having slept with SuperPatriot. After she gives birth to twins, Rebecca watches a television report that features the hero defeating the terrorist organization Hydro and comments to the infants that SuperPatriot is their father. Jake suggests that she keep this fact a secret so that SuperPatriot’s many enemies do not end up targeting them to get to him. SuperPatriot is furious to discover that Jake is responsible for him never getting to know his children but defends his actions regardless. He could not possibly have been a father to Liberty & Justice when he did not know they were alive. SuperPatriot then reveals that he did come to be reunited with them but had actually been sent to gather information from them by Jake. 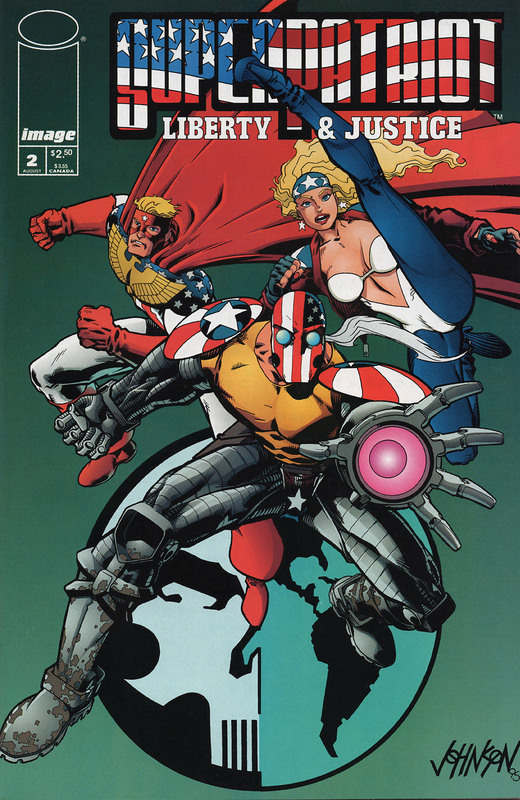 The trio head to a local diner where SuperPatriot begins to ask them about the Covenant.